Whatever the viewpoint, and by whatever name it is known, cannabis - or marijuana, hashish, pot, dope, kif, weed, dagga, grass, ganja - incites debate at every level. 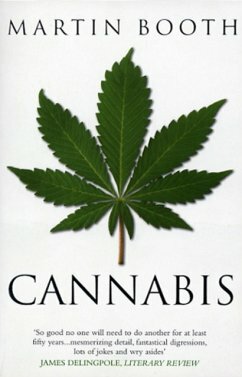 In this definitive study, Martin Booth - author of the acclaimed OPIUM: A HISTORY - charts the history of cannabis from the Neolithic period to the present day. "So good no one will need to do another for at least fifty years...mesmerizing detail, fantastical digressions, lots of jokes and wry asides."